Once you have some assets, it’s always advisable to make a will for two primary reasons. First, after you the legacy would be passed to the people you really wanted to pass on. Second, it reduces a lot of acrimonious discussions and sour relationships among heirs which almost always happen while the distribution of wealth. But if someone dies without a will in India, the succession is governed by “Muslim Personal Law” if the person is Muslim and by “The Hindu Succession Act” if he was Hindu. We look at the The Hindu Succession Act in this post. This law came in force in 1956 and later was amended in 2005 to give equal rights to females. The next level is benefited only if there is no one in the level above that. Let’s see who all are in Class I and Class II heirs. Widow of a pre-deceased son of a predeceased son. 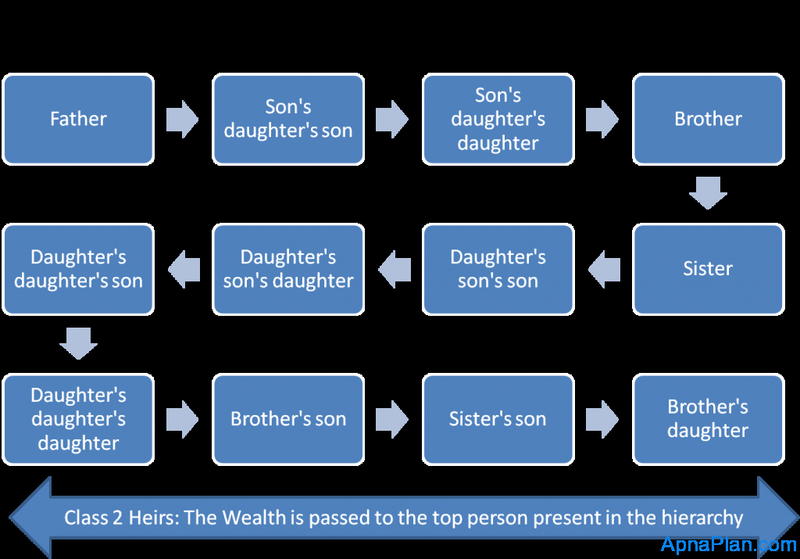 The Wealth would be equally distributed among all these Class 1 heirs. If there is more than one widow, multiple surviving sons or multiples of any of the other heirs listed above, each shall be granted one share of the deceased’s property. Also if the widow of a pre-deceased son or the widow of a pre-deceased son of a pre-deceased son has remarried, she is not entitled to receive the inheritance. If any person is involved in murder, he is disqualified from receiving any form of inheritance from the victim. Disclaimer: The above explanation is a broad guideline of The Hindu Succession Act and its always good idea to consult a lawyer in case of doubt or dispute. Verification in ITR – I further declare that I am making returns in my capacity as …. Sir, Thanks for your detailed and ‘easy to grasp’ articles. I would like to ask you that My father Passed away without any WILL.He Held a proprietorship firm registered with Sales tax department.After him i am looking after our business and have registered myself as proprietor in all concerned revenue departments.But i am facing problem with our firm bank accounts. We were using FIRM current account since last 10 years and it is registered with all our clients and has daily incoming/outgoing transactions. Banks are not sure of providing me Signing authority with continuity of the same FIRM bank account.They suggest me to shut down old account and to open new account with Proprietor myself and provide new account number to all my clients which is a big task since we have very distributed client network.Sir, please suggest can i continue same firm account with the banks (BANK OF INDIA AND DENA BANK )? Sorry I am not much aware of current account related to proprietor/business so won’t be of much help!